Andy Clark is the Vice President & Managing Director, APAC at Tealium. A digital technology veteran, with nearly 20 years of building and leading teams in Asia Pacific for dynamic, growth-oriented technology companies. Prior to Tealium, Andy served as Group Vice President, Asia Pacific for Limelight Networks, providing cost-effective, multi-channel digital content delivery platform technology. He has also held senior positions at Crossbeam Systems and RightNow technologies in Japan, as well as led the integration software efforts for IBM in the region. Andy holds a Bachelor of Arts in Japanese Literature from the University of Washington, and studied Japanese Language and Literature at Keio University in Tokyo. Tealium powers the new era of real-time customer engagement and marketing, enabling global businesses to unlock their customer data and create more meaningful, relevant customer experiences. The company’s industry-leading universal data hub encompasses tag management, API hub, customer data platform, and data management solutions that enable organizations to leverage real-time data to create richer, more personalized digital experiences across every team, technology, and customer touchpoint. More than 800 organizations worldwide trust Tealium to eliminate data silos and build a unified, actionable customer profile. Tealium is backed by top venture investors; Bain Capital, Battery Ventures, Georgian Partners, Presidio Ventures, and Tenaya Capital. 1. How is digital marketing impacting business growth? As brands continue to spend more budget online, the impact of digital marketing on business growth is clear. Digital marketing allows for more precise targeting at scale, with greater opportunities to gather insights and deliver meaningful conversations that are driven by data. Digital marketing should not be isolated within an organization – to create a genuine 360-degree view of each customers, it is important to stitch data together from all consumer touchpoints, from both offline and online sources. 2. What are your predictions on digital marketing trends in 2018? There will be a continued explosion of data from a myriad of sources including CRM, Point of Sale, wearable tech, and IoT enabled devices, alongside mobile, desktop, and call centre. Marketers will embrace machine learning to help them collect, manage, and analyse this volume of data so they can deliver the most relevant and engaging conversations to consumers via their preferred channel, in real time. Connecting bank-end systems to front-end systems will become an increasing priority for data-driven, digital marketers, so they can connect the dots between historical data, transactional data, demographic data, and behavioral data. Data compliancy and new regulations will continue to determine how data is collected, stored, and processed, creating an opportunity for marketers to create a 360-degree view of consumers, in turn allowing greater relevancy with the most receptive audience. 3. In building a marketing technology stack, what are the complexities CMOs will face in the process? The building of a marketing technology stack is never complete – as technologies constantly evolve and customer demands increase, the need to constantly innovate is always high. CMOs may face challenges with in-house resource, expertise, and the ability to prioritise constant development within the company to maintain custom systems. 4. What should marketers look for when it comes to choosing a digital marketing technology stack? When choosing a digital marketing technology stack, marketers should look for platforms than can integrate with other vendors across the industry and connect data silos within their organisation, to ensure that all communications with consumers are unified across channels and devices. A digital marketing technology stack should have the ability to easily transport data to where it needs to be, analyse it quickly, and enable marketers to deliver in-the-moment and intelligent conversations across all customer touchpoints. 5. How Tealium can significantly increase marketing performance? Creating a strong data foundation is critical for marketers to be able to deliver a comprehensive and successful marketing strategy. High quality, accurate data is the basic building block for all communications, and it is imperative for marketers to be able to create a holistic view of each user to provide the greatest customer experience and foster long-term loyalty to their brand. Tealium is the leading customer data platform and is an enabler for digital transformation – allowing companies to connect their data and bring together different vendors to collaborate within the same data stack. 6. How customers are achieving success with Tealium? The brands that use us are rethinking the way they work with their customer data, in real-time, across their entire enterprise, allowing them to drive a greater value exchange and deeper relationships with their most valued customers. 7. 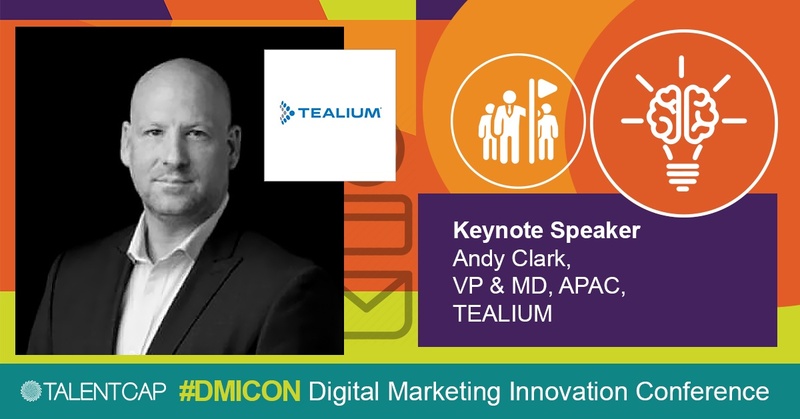 How will Tealium’s keynote speaker at this year’s #DMICON assist marketers to be successful? The session will focus on enabling marketers to understand the challenges, issues and tools available in addressing an approach to data driven customer experiences. The #DMICON is an exclusive gathering of ASEAN’s biggest brands, industry change agents and influencers that look into different aspects of digital marketing from the future of data, artificial intelligence, to the basics of marketing focusing on leadership, strategy, tech and innovation. Our annual event draws ~100 C-levels and key decision maker attendees from across industries such as technology, employment, property, FMCG, telecommunications, banks, e-commerce, automotive, advertising, media, radio, government agencies and more. With plenty of cross industry learning and networking opportunities, the #DMICON is the perfect place to build a professional network, find business partners, and generate new growth ideas. 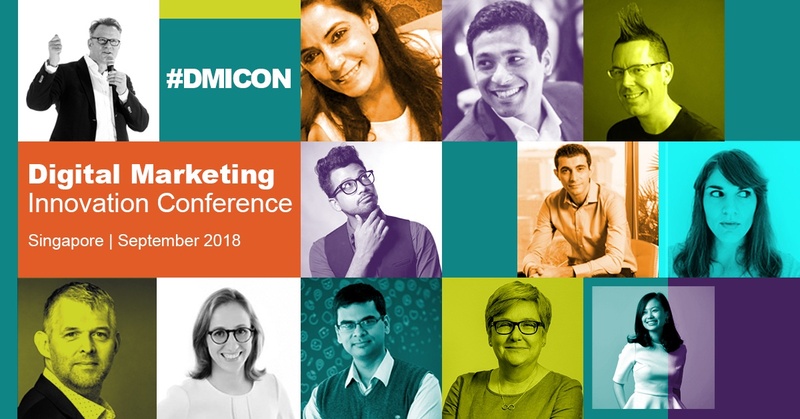 The #DMICON will help you address your digital marketing challenges and to identify growth opportunities to create the greatest positive impact on your marketing strategy.